The RCA 2007 Spring Gathering will be held in cooperation with the 2007 APCO Western Regional Conference & Exposition. The APCO convention is sponsored by the 13 chapters of the APCO Western States Region and hosted by APCO’s Southern California Chapter, the California Public-Safety Radio Association. Diners will enjoy an evening meal in the Verandah Grill aboard the Queen Mary. The banquet is set to begin at 7 p.m. Tickets are $50. Inspector Charles Dowd, commanding officer of the New York Police Department (NYPD) Communications Division, will give a speech. “Even in a police department like ours, where we get 32,000 calls a day, we don’t usually deal with life and death on the telephone,” he said. “But that day we were getting dozens of those calls,” Dowd responded in an interview published in 2002, when he was asked about calls his dispatchers received from office workers in the New York World Trade Center towers soon after they were struck by hijacked airliners that set them aflame. Callers were asking advice about a tragic choice: Should they jump to their deaths or wait to be consumed by fire? Dowd said his people didn’t falter. Some operators, in tears, needed to walk away from their stations for a few minutes to compose themselves, but all stayed at their posts through their tours dealing with one of the most difficult days in the unit’s history, the 2002 story reads. New York City has launched a multifaceted initiative to transform its existing emergency communications environment operationally and technologically in a program involving NYPD, Fire Department of New York and Emergency Medical Dispatch. 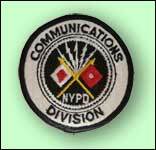 The plan would unify call-taking and response operations of NYPD, FDNY and EMD. For reservation and ticket information call 800-346-6442, extension 30. RCA has not yet released the names of sponsors for the banquet. The Associated Radio Amateurs of Long Beach operates amateur radio station W6RO in the radio room aboard the ship. I’ve been told that those attending the Spring Gathering will be allowed to tour the ship beyond what Verandah Grill patrons normally are permitted. An arrangement for diners who are licensed radio amateurs to operate W6RO during the Spring Gathering is possible. Would you be interested? If so, let me know, please. This entry was posted on Monday, February 5th, 2007 at 11:40 pm and is filed under RCA meetings. You can follow any responses to this entry through the RSS 2.0 feed. You can leave a response, or trackback from your own site.